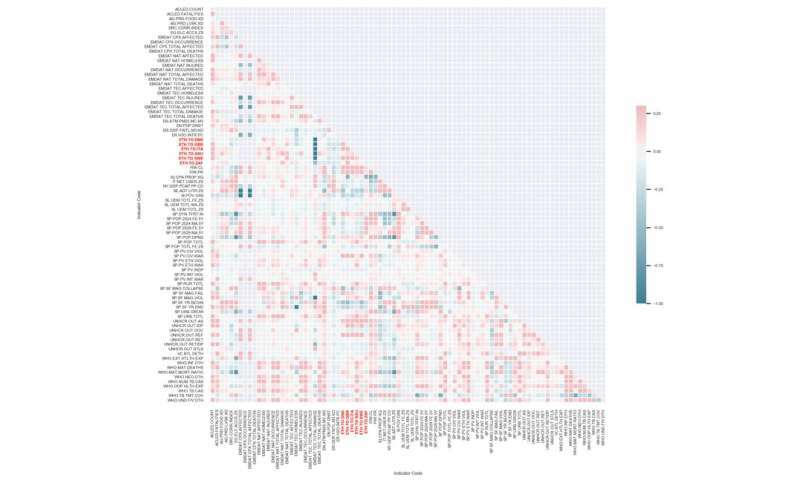 In this post, I'll walk through the development of a machine learning system that provides strategic forecasts of mixed migration along with scenario analysis. Mixed migration refers to cross-border movements of people that are motivated by a multiplicity of factors to move, including refugees fleeing persecution and conflict, victims of trafficking, and people seeking better lives and opportunity. Such populations have a range of legal statuses, some of which are not reflected in official government statistics. Understanding migration dynamics and drivers is inherently complex. Circumstances differ from person to person. The question "why did you decide to move?" is not straightforward for people to answer. However, to the extent that individual decisions reflect structural societal factors, the dynamics can be partially explained by aggregate measures. For instance, economic drivers for movement can be expected to be related to employment opportunities and therefore macro indicators on employment. These challenges are compounded by data availability and coverage on specific indicators. We started by leveraging the 4MI monitoring program run by the DRC through which thousands of migrants on the move are interviewed. Analysis of survey data reveals high-level clusters of drivers for migration. These clusters ranged from lack of rights and other social services, to economic necessity and conflict. These drivers are then mapped to quantitative indicators. Features derived from these indicators are then fed to a model that generates forecasts along with confidence intervals (Figure 1). In addition, the system also generates context for each prediction by showing specific drivers that contributed to the forecast. Using these indicators, we developed an ensemble model to make strategic forecasts annually for bilateral flows on mixed-migration volumes annually. Our evaluations showing error rates to be within a few thousand persons per year even for countries with volatile conditions. The system further allows for scenario analysis, where relative changes in influencing factors can be modelled to make adjusted predictions. The forecasting system described above is purely data-driven where we rely on the model to derive relationships between all the variables. Alternatively, if we seek to exploit subject matter expertise and include specific insights in the system, we could take the approach of probabilistic graphical models. 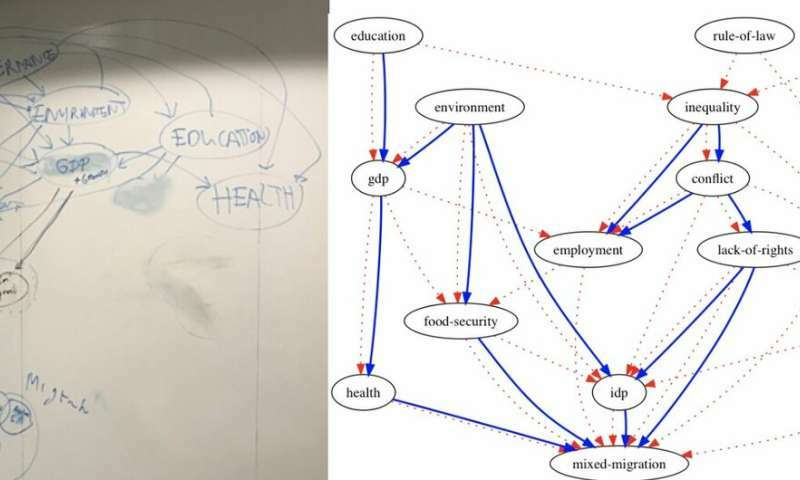 At a workshop held at IBM Research – Ireland, subject matter experts from the Mixed Migration Centre in Geneva and DRC drew out the "spaghetti" network showing how they expect indicator clusters to be causally linked. Using this as input, we then combined their expert opinion with the data. We used a technique called structure learning to develop such a network. Forecasting using such networks typically don't perform as well as purely data-driven approaches presented above; nevertheless, they do aid in scenario analysis and policy analysis. These are the first few steps towards a future where policy makers have instant access to evidence when and where it is needed and where complex relationships can be explored easily to provide more insight driving better policy. For now, we are continuing to improve the system and gather user feedback with subject experts within the DRC. Following more detailed validation, we will look to expand the geographic scope and scenario analysis capabilities.